As a city renowned for fishing and known worldwide as a premier game-fishing destination, Puerto Vallarta and its surrounding areas are a sports-fisherman’s paradise. 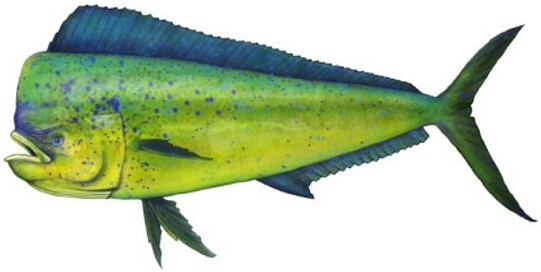 In addition to trophy-sized Sailfish and Mahi Mahi, local fisherman and tourists alike have pulled 300- pound Yellowfin Tuna out of the sea, as well as giant marlin weighing over 500 pounds. The ocean waters of Banderas Bay are also teeming with Billfish, Jack, Sea Bass, Snapper and Wahoo. Fishing licenses are required. Pick-up can be at one of several points around the bay. Additional fees may be applicable depending on location of pick-up. $50 USD per hour and up to 8 passengers. Will be happily provided at cost, or you are free to bring your own. Ice and cooler are provided. The friendly and knowledgeable Captain Alberto, who speaks excellent English, offers exciting private charters and custom tours aboard the Lucero, a lovely and well-maintained 28-foot panga with full bow cushion, comfortable cushioned seats and plenty of shade from the elements. With a long line of family in the area spanning back well over 100 years, Captain Alberto grew up along the beautiful Bay of Banderas so his deep familiarity with the area and the bay makes him the perfect tour guide for your upcoming excursion. The stories and historical information he loves to share are truly fascinating. And it must be said that he is a bit of a comedian! But that just makes his tours that much more lively, fun and enjoyable for everyone. As well as being fully insured, this responsible tour operator has up-to-date licenses with all applicable permits for all activities offered aboard the panga. The Lucero can accommodate 8 passengers and a crew of 2. A wide range of services are offered to include: fishing, snorkeling, sightseeing, whale watching (seasonal), lunch on specific beaches depending on accessibility (there’s no beach accessibility on the north side of the bay due to shallow water and rocks), or a custom combination of these activities. All equipment is furnished. Captain Alberto prides himself on being able to provide personalized attention for each of his guests, helping them to create special and lasting memories of their time spent on the sparkling waters of Banderas Bay, Mexico. UPDATE: Captain Alberto no longer provides the service of grouping of various tourists together for outings as recently too many persons have been no-shows, leaving the remaining passengers alone to cover the cost of the excursion. This tour company offers private yacht charters with your own itinerary, as well as shared deep-sea fishing trips. Shared trips last 8 hours and depart daily at 7:45 a.m. from Paradise Marina in Nuevo Vallarta. Their 44-foot Viking yacht can accommodate up to 12 passengers. Specializes in first-class fishing. Boats are outfitted with the latest electronics, and they have both outriggers and downriggers to increase their guests’ chances of scoring a big catch. This company allows you to set your own itinerary. Located at Dock C-5 in Marina Vallarta, Puerto Vallarta. 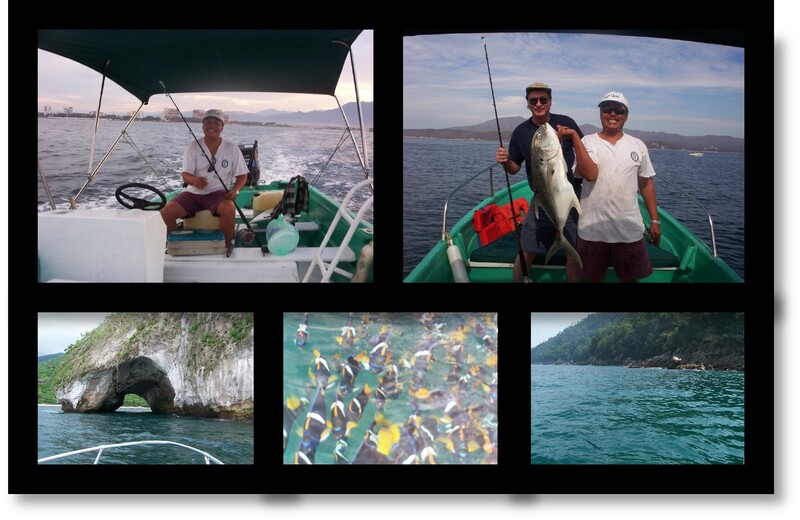 This fishing charter operates out of Puerto Vallarta, but also offers service from the harbor in Nuevo Vallarta. Their fleet can accommodate up to 10 persons. Their 4-12 hour excursions include all fishing gear. Lunch and fishing licenses can be purchased separately. Overnight charters are available. This tour operator offers fishing trips from a 34-foot, fully-loaded Abermarle yatcht, and is a IGFA-approved weigh station which is quite convenient if you want to record the weight of your massive catch. The crew will clean and package your fish, or freeze it for later pick-up. Charters are conveniently provided from both Puerto Vallarta and Nuevo Vallarta.